As I was meditating on this passage today, I found myself struggling to put myself in Judas’ shoes. What would it take for me to betray Jesus? But as I thought from his perspective, I realized something. There must have been a lot of moments, small disappointments, that led up to this moment of betrayal. At some point back in Judas’ past, Jesus had not lived up to the standard of what Judas thought he should be. And since that point, small moments, slights, and disappointments had been adding up. To the point that a true believer became jaded. A disciple turned into a thief. A savior was betrayed for 4 months wages. Judas, like the rest of the nation of Israel, had been waiting for the Messiah for a long long time. 400 long years had passed without one prophet, one word from God. And now, Jesus enters the scene. What would they hope for in a savior, this tiny, downtrodden nation? A warrior king? A fierce deliverer? A strong leader with the courage, the riches, and the fierce will to restore the Glory of Israel? Instead, they got a carpenter. A man who tells parables instead of issuing rallying cries. Who spurns the religious elite for a band of outsiders, foreigners and misfits. A man who in no way is living up to the savior Judas had built up in his head. To me, the only way this betrayal makes sense is if it is built out of bitterness- broken dreams and unmet expectations. 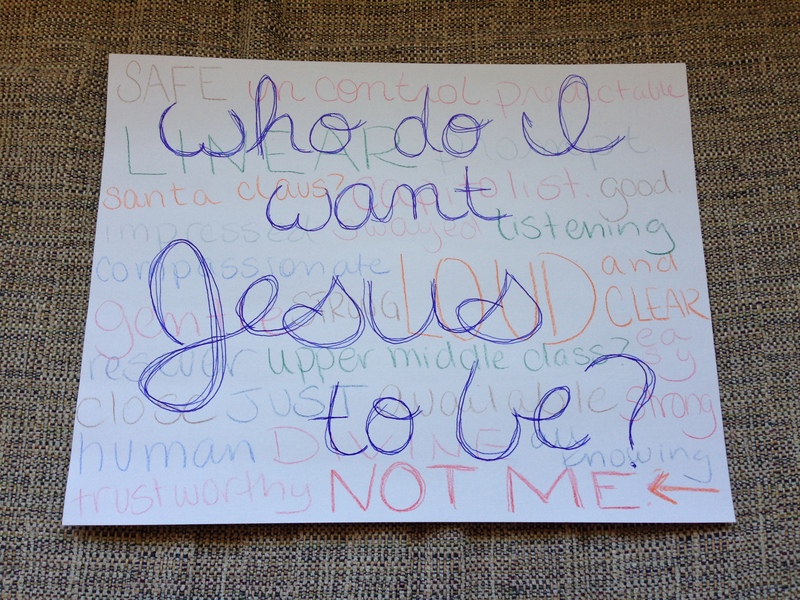 All of this begs the question: Who do I want Jesus to be? Then, I tried to dig deeper into that. What came to mind- compassionate (to realize that my striving, to see that I am seeking to please), listening (to hear my need for direction, my pleas for mercy), Loud (to speak above my constant clamoring to hear Him). As I sat, thinking of what I truly needed in a Savior, a final thought. I need Jesus to be something outside of my constructs. In order for him to be safe, and in order for him to be sovereign, he must be bigger than me, higher than me. He must have an eternal perspective, to see all stories that weave together into The Story. To be fully for me, He must not be caught up in my daily whims, tumults, and crises. To be worthy of my faith, to be the true hope of the world, he must be exactly what he is. Human. Divine. Sovereign. Just. Merciful. Unexpected. I was being discharged from the hospital. My room was filled with plastic bags of canned vegetables (why? who can even know) that I had to take to the car. However, after lugging them down the stairs (in my hospital gown), I found that my car had been moved. My friend offered to drive me around to look for the car, but in the process she kept not listening to my directions, turning the wrong way, and running into walls. I couldn’t find my car, and my arms ached from holding up the heavy bags. I was anxious to the point of frenzy, still woozy from my illness, and unwilling to surrender my burdens. And then I woke up to the sound of my one year old crying. Now I am no dream analyst, but I can pretty much tell from this dream that I have some control issues. And some feeling-out-of-control issues. Starting my morning in this manner left me feeling a bit jittery, and like there was something I NEEDED to do, a small alarm ringing in the back of my mind. And then today, I sat down to meditate on Jesus washing Peter’s feet. As I sat in the silence and imagined that moment, I began to have some of the same reactions as Peter. But wait- Jesus, I serve YOU, you don’t serve me! Yes. This sounds good. And this is a principle I adopt more often than not when it comes to life as a disciple of Jesus. But it is totally backwards. When I view myself as a servant of God, and don’t first allow Jesus to minister to me, I am operating on human terms. My service to God is earning me favor. It keeps me feeling secure, righteous, and in control. Laying down all my gold stars, all my good works, all my efforts, and allowing Christ to cleanse me is a powerful act of surrender. It is saying that I can’t keep things going smoothly on my own. There are too many cans of vegetables (I know- it’s bizarre- but let’s roll with the metaphor) and the car keeps moving. I will never finish the task on my own. And I am not meant to. Because if it were possible for me to be good enough on my own, then Jesus sacrifice for me would be a cosmic waste of time. And oh how I am in need of that sacrifice. I need the redemption. I need to be forced to admit that I can’t do it all by myself. I need to be willing to be humble enough to allow God to minister to my soul- my heart, my needs. 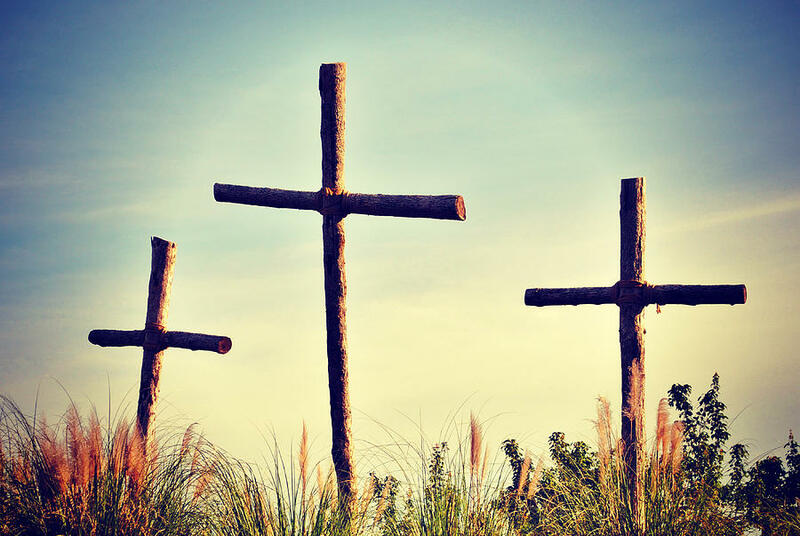 The martyr on the Cross should always remain Christ. When I look at my life and realize that that I am casting myself in the role of suffering servant, it’s time for a reality check. For if I can’t humble myself and allow Christ to wash my feet, how can I possibly accept the enormity of his sacrifice for me? If I am unwilling to first be ministered to by Christ, then those who see my efforts will never see God shining through them, only the increasingly strident acts of a pretty good human. If I keep trying to be good enough, responsible enough, DO enough to keep my life running smoothly, I will inevitably fail. The truth is, we aren’t in control of our lives. Sooner or later, something will happen that will prove to us beyond all doubt that WE are not in charge. And when that happens, if all of our trust and valor is built upon our own resources, our defenses will crumble. However, if we continually seek to submit to the tender ministrations of Christ, then we know the One who holds our future. And we are able to stand in trust that God is sovereign, and that God is in control. Humility leads to trust, and trust leads to a deeper, truer life.